← Happy 39th birthday, Jack Benny! 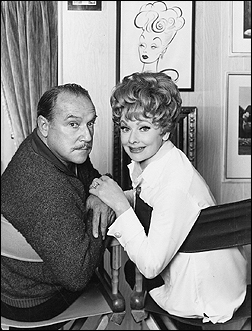 On Feb 20, 2015, we celebrate the 109 birthday of the beloved character actor Gale Gordon. Gale Gordon was born Charles T. Aldrich in New York in 1906, the son of vaudevillian Charles Aldrich and his English actress wife, Gloria Gordon. The couple took their one year old son to Great Britain where they worked on stage, and the boy spent the next eight years absorbing the English reserve that would define his professional persona. Young Gordon underwent a delicate operation to repair a cleft palate while in England. The family returned to America when the boy was nine, settling in New York’s Forest Hill’s area. Gale returned to England to complete his education at the Woolbridge School in Suffolk at the age of 17. Gale Gordon got his acting start in a 1923 Canadian production, working with stage and silent screen great Richard Bennett. To earn extra cash, Gordon also worked as Bennett’s dresser. The great actor must have seen potential in the young man, and he endeavored to teach Gordon the elements of acting and the craft of stage work. By 1925, Gordon found himself in Hollywood, taking what acting jobs he could find. In 1926, he got a call to come to a studio to try his hand at a new thing called radio. “I sang and accompanied myself on ukelele. You might say I almost killed radio before it was born” Gordon later remembered. By 1933, Gordon was the highest paid radio actor in Hollywood. He played the male lead on serials opposite Mary Pickford and Irene Rich. He appeared on most of the big shows on the air, from Lux Radio Theater to Stories From the Black Chamber. 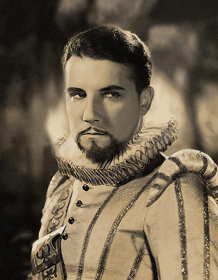 He even played the cockney-accented Inspector Lestrade opposite Basil Rathbone on Sherlock Holmes and was the first actor to play Flash Gordon. Gordon met Virginia Curley while appearing on Death Valley Days in New York. The couple was married two days after Christmas in 1937. For at least the next twenty years, the 27th of each month was celebrated as an anniversary. In 1941, Gordon appeared as Molly McGee’s former boy friend. The fit was so good that the part of Mayor LaTrivia was created for him, and Gordon became part of the Fibber McGee and Molly family for the next 12 years, with a break while he served in the Coast Guard. In 1948, Gordon landed the role of Principal Osgood Conklin on Eve Arden’s Our Miss Brooks, a role that would carry him into TV fame. The Conklin character was slightly refined to become banker Rudolph Atterbury on the Lucille Ball vehicle My Favorite Husband. Lucy and Gordon had been friends for a long time, first working together on Jack Haley’s Wonder Show in 1938-39. When My Favorite Husband made the move to TV as I Love Lucy, Gordon was Lucy’s first choice to fill the role of Fred Mertz. 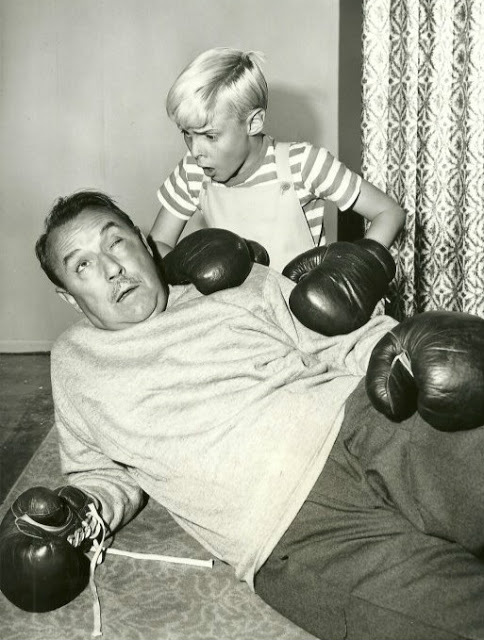 Gordon, however, remained committed to Miss Brooks and eventually moved to TV with the program. On TV Gordon perfected his famous “slow burn” persona. He realized that his characters were funnier if he lost his temper by degrees rather than exploding all at once. Although his characters were full of bluster, in real life Gordon was a “pipe-smoking homebody”. In 1949, Gordon and wife Virginia bought a 150 acre ranch in Borrego Springs, 175 miles from the craziness of Hollywood. An incurable handyman, Gordon built the house himself and became one of the leading growers of carob beans in the US. Gordon continued to have commitments on other shows, and was not able to become a regular part of a Lucille Ball TV show until the 1963-64 season of The Lucy Show. The bombast between Gordon and Lucy became an important part of the red-head’s shows until they both “retired” from weekly TV in 1974, but their roles were recreated in annual specials for several years. The secret of Gale Gordon‘s success may have been to find roles he enjoyed, but mostly to enjoy life beyond the studio. This entry was posted in Eve Arden, Fibber McGee and Molly, Gale Gordon, Lucille Ball, Lux Radio Theater, Old Time Radio, Our Miss Brooks and tagged Death Valley Days, Gale Gordon, I Love Lucy, Lucille Ball, Lux Radio Theater, Our Miss Brooks, Sherlock Holmes. Bookmark the permalink.